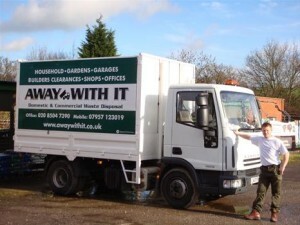 Are you looking for business waste removal services in Walthamstow E17? We can help. For nearly 15 years we’ve been providing commercial waste removal Walthamstow companies trust and freely recommend to others. They love our fast, flexible services and low prices and we think you will too! No job is too large for us to handle or too small for us to care. From individual items to partial loads, full loads and even multiple loads – we have the resources to get the job done and you can rely on us for fast flexible service. Our aim is to provide the best possible waste removal solution at the right price with a tailor made package to suit the needs of each business. We operate from 7 in the morning until 11.30 at night including weekends. So you can count on us being available whenever you need us to remove your commercial waste. That includes early mornings, late nights and weekends. We never sleep! As well as scheduled collections at times to suit you we can also provide an on demand service, in most cases the same day. If kerbside collection is not practical due to parking and access issues we will be happy to offer an alternative wait and load service. We offer generous discounts to clients who use our services on a contract basis making our services even more cost effective. 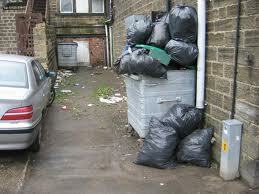 As licensed waste carriers you know you can rely on us to do a professional job. And you can rest easy knowing your waste will be disposed in a responsible and legal manner. Our expert teams not only load your commercial waste and take it away – they also clean up after themselves leaving your business premises neat and clean. We can provide a same day collection service if needed. Our teams are on duty seven days a week, even throughout the weekends. For contract customers we offer a free business waste audit to identify the best, most cost effective and efficient schedule for your business. We don’t believe in hidden surcharges or extras. When we quote a price you will know exactly how much our service will cost you and we’ll stick to it. 80% of the waste we collect is reused or recycled. Booking our services is easy. Just give our experienced and friendly team a call on 0208 504 7390 or 07957 123019. They’ll be happy to discuss your requirements for commercial waste removal Walthamstow and answer any questions about our services. We’re here 7 days a week to take your call and will gladly put together a tailored service package to suit your budget and exact business needs. Call 0208 504 7390 or 07957 123019 anytime between 7am and 11.30pm seven days a week to discover how we can help you save time money and hassle with commercial waste removal in Walthamstow E17.